Linden is a suburb of New York City with a population of 42,230. 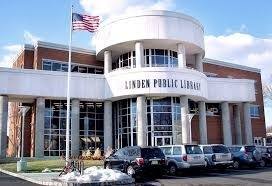 Linden is in Union County. Living in Linden offers residents a suburban feel and most residents own their homes. In Linden there are a lot of restaurants and parks. The Linden Cultural and Heritage Committee exists to bring entertainment events to area residents such as craft bazaars, street fairs, concerts, and plays, and the Linden Society for Historic Preservation works to preserve the history of the city. The City is also famed for having one of the limited Chevy's restaurants remaining in the tri-state area which draws in patrons from all over the greater New Jersey area. Hal Linden, the stage and screen actor, television director and musician best known as the star of the TV series Barney Miller, based his stage name on the city's name, after seeing the word "Linden" on a water tower while heading from Philadelphia to perform in New York City.